Occupying a strange space between Final Fantasy, Bully and Neon Genesis, the Persona series has grown into something of a cult phenomenon in the West. Part of that is down to its unique premise, sure, but another is the series' bold and memorable visual identity. Even for those who could accuse all anime of looking the same, Persona always manages to look different, thanks to its contrasting colours and original character designs. To let you enjoy the art of Persona without having to actually bother going back to school and fighting Shadows the hard way, the crew at Udon have teamed up with Atlus to release a book featuring a ton of concept and production art from the game. 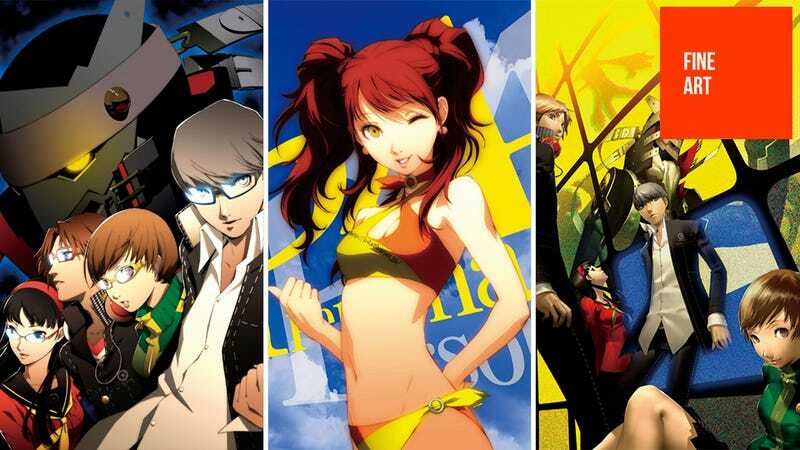 If you like Persona 4, enjoy. If you don't, and just like video game art that looks awesome, again, enjoy. If you don't enjoy this, there's clearly something wrong with you, and you should seek help immediately. The images below are all taken from the upcoming book Persona 4: Official Design Works, which should be out any day now. You can order it right here.